Past, Present and Future of Internet Animation. The online marketing history cannot be written if we omit the phenomenon that we could denominate as “animations for internet” we referring to animations created on concrete formats and with specific characteristics, habitually used in different banners formats. Since the “ancestral” Animated GIF of 1990 years. to the formats of rich media or HTML5current JS, a history about technical and creative evolution has been written which has the Shockwave flash format (or drily flash) as protagonist, hero and villain at the same time . FLASH: The present, the future and soon… The past? The Flash Animations has been, and continue being, most popular format to animate display campaigns. 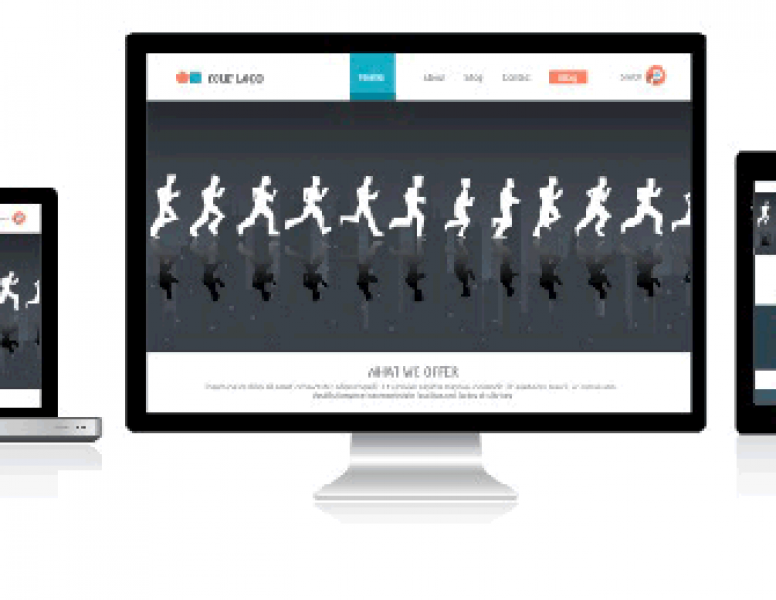 Flash offers low-weight animations accepted by the majority of “ADSERVERS”. The pieces are visualized on Flash player, (the plugin which resides in the user equip) that render vector animations or with Bitmap elements to which they can schedule events and interactivity, offering multiple possibilities to catch the user’s attention and improve the ROI in a campaign. Nowadays, no other format offers this level of interactivity incorporated on animations for internet. Flash also offers a solution of “Video for Internet”: the format FLV (or flash video), that, although many of you think not to know, will be more familiar if is mentioned that a service that popular like YouTube hadn’t be burned and develop without the usage of this format. (Though currently it is no longer used). Flash video is used in an extensive way in pieces of online advertisement rich media, sometimes combined in a sophisticated way with flash animations or interactive graphics, what multiplies the creative possibilities focused on the attention or the user interaction. But, although the SWF format (SHOCKWAVE FLASH) remains nowadays an accepted standard in almost all specifications for Banners Display, the evident hegemony of the mobile devices is a conviction which determines that sooner than later it won’t be a valid format for Banners. Due it is no compatible with the IOS system, and on android, Adobe has stopped its support as the result of the poor experience that it offers. The mobile devices aren’t the future nor much less, they are the present, even so, the online marketing’s world walks a steep behind of technology and still, (whether we except the concrete cases which rich media pieces are used), refolded in static formats or animated GIF for these devices, with the ROI loss that this entails. They are compatible with almost any mobile device. They offer a creative flexibility on the animations very similar to what flash offers (although it does not reach to be that complete). Just like Flash, it’s possible to combine the animations with interactive elements. Let’s add a fourth point which isn’t trivial: this type of animations does not require a Plug-in owner to run, just like FLASH with FLASH PLAYER. This means that animations always could, at least, technically, to have a bigger potential audience than a FLASH animation. FLASH CC and FLASH CC 2014 already offer integration with results truly professionals. My next campaign… should be produced with JS-HTML5? R= It depends. The problem, just like has been marked, even most of adservers limit this type of animations, so these cases we will should keep using Flash. If the campaign is going to be showed on specific webs (embedding the piece directly on the web), or using affiliated networks that allow it, we will be able to use this format. In campaigns where we seek to aim toward a target user of mobile devices we could — check in all their glory the added value which offers this format. Animations on an own web. If our purpose is to include a piece of animation in an owned web, no doubt this would be the smartest election, taking into account , not only a compatible animation with any device, but it will be so responsive as our own web, amen to a complete integration with the HTML from the site. The animations for internet can, already nowadays, gain so much technical ground using extensively JS and html5. The handicap in the world of the banner display keeps being the limitations imposed by adservers, but this will change sooner than it appears and, who before embrace this format of the present and future and positioning themselves in this technology will enjoy the advantage over their competitors when this way to animate, is a global “trend” and ends up becoming a standard. On Brandesign We can help you achieve your goals regardless of the modality of your online campaign. Do you remember how did Flash bring us over to a new world of animation and interactivity when the web 1.0 was so bored in its beginnings? FutureWave, Macroaverage, now made Adobe possible: The On-line Animation just has 19 years and increasingly it gains new characteristics and new professionals. In Brandesign we have wanted to leave this cartoon to them complementing the reading on our last entry on the History of the On-line Animation. what seems to you?